There is so much to do in Jordan. 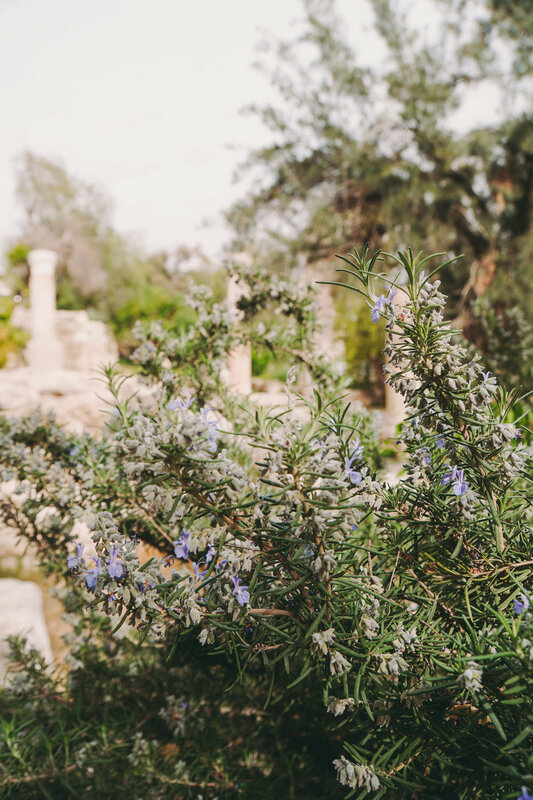 Amman is full of great food, Roman ruins, art galleries and independent shops. 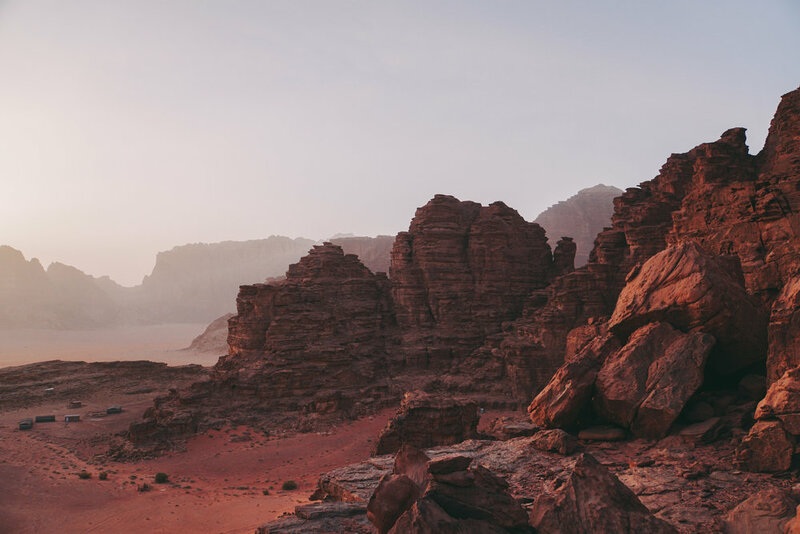 Desert camping experiences in Petra and Wadi Rum make for for some wild adventures and peace and quiet at the Red Sea can restore you for further adventure. If you've read my Where to Eat in Amman post you'll already know all about Namliyeh, an artisanal honey and preserve shop. Feast on sweet samples and invest in the local economy with purchases ranging from wildflower tea, local honey and delightfully different marmalade (we purchased Lemon Lavender and Cardamom). 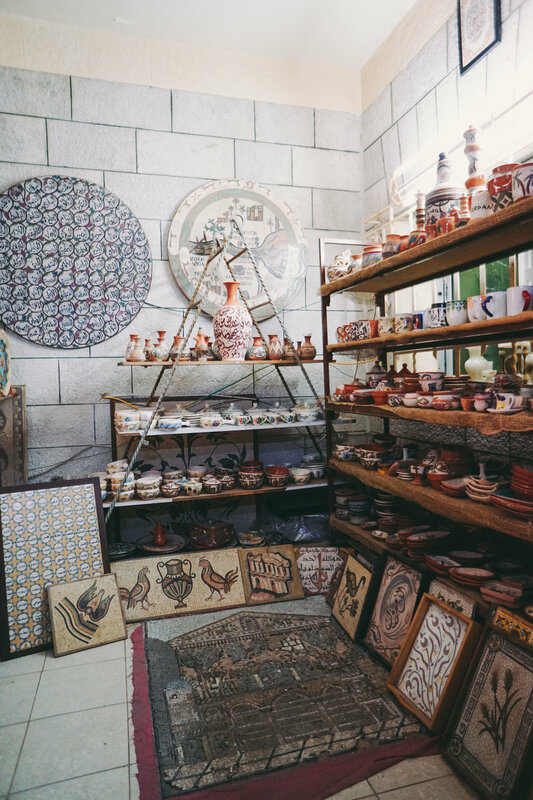 Next door is a handmade pottery workshop, with everything from tagines to trinket bowls. It's part studio with many aged mosaic and pottery items plus plenty of new pieces. Make sure to bring cash for your home goods! Also on this block is Café Mustache (though it wasn't open so we couldn't go) and a juice bar called We Farm! 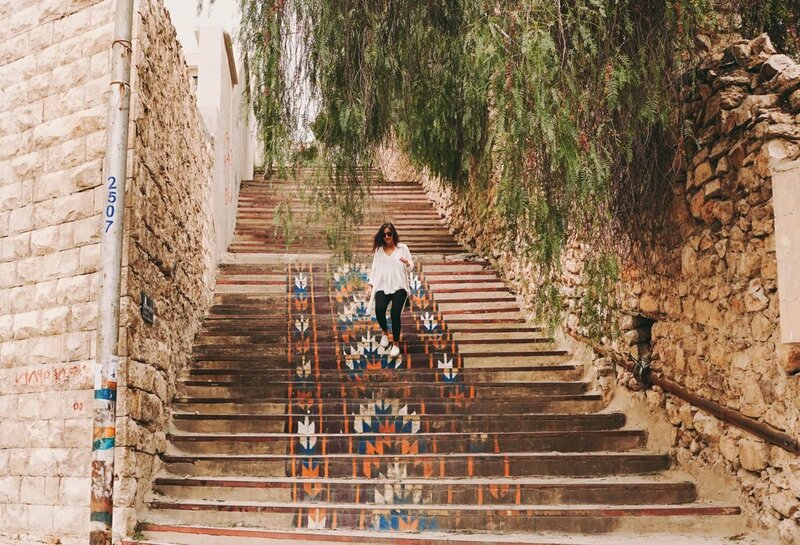 All through Amman there are pockets of street art and galleries. I loved Darat Al Funun (by the Khalid Shoman Foundation) in particular. It's set inside six buildings and consists of ruins, gardens and an art exhibition. This year is their 30th Anniversary and it's free and open to the public. The spaces are beautiful, especially on a sunny day and the juxtaposition of art, architecture and archaeology is so unique! Of course in Amman there are also tons of Roman ruins standing (still) on their own. The Citadel can be seen from all over the city and the views once you're up top are incredible! It's atop Jabal Al Qal'a as the locals call it. Visitors are allowed to get up close and personal with the ruins. Touching, walking, climbing, you name it and it's only three JD to enter. There's also a Roman theater nestled into the city center. You can pay a couple JD to see it up close and wander around inside, or view it from the Citadel to get a glimpse of its sheer size..
Petra. Ancient stone and mystery. The abandoned city housed inside a massive slot canyon is a Unesco World Heritage site and considered one of the Seven Wonders of the World (New not Ancient). You can hike, you can wander, you can ride camels and donkeys (though I don't recommend for a number of reasons), you can hide in the shade of 2000 year old walls. I'd recommend a two day pass for Petra, overlapping one of the evenings they do Petra by Night (Monday, Wednesday, Thursday). We invested in a three day pass just in case, it was only seven JD more than a two day pass, but we didn't end up using it. Do one of the longer hikes inside Petra, go exploring! The Monastery is a good one although bring a bandana with some mint oil dabbed on as the amount of donkey poop is astounding. Animals are "technically" not allowed inside Petra but as you will see when you go - no one seems to regulate that. While it's always neat to see animals you might normally not, the droppings and sheer number of them can overwhelm the average visitor. Definitely pay for a guide to see the Treasury from the cliffs. If you stand in front of the treasury long enough you will be asked to go up, don't worry about that. It's a fun hike/scramble, only costs around seven JD per person (if you haggle) and the view is unmatched. We were absolutely breathless once we arrived at the top , fitting since the view would have taken our breath anyway. You might be able to venture up on your own if you are a super experienced hiker/rock climber but the way we went was pretty roundabout and confusing so I'm glad we had the guide showing us the way. Our trip to Jordan was a vacation after all - so we made sure to carve out some time for R&R at the Kempinski next to the Red Sea. The service and hotel were a much needed break from the dust and scorching sun of Petra, it felt so good to treat ourselves for a night! We camped in Petra for a low price and the camp was perfectly fine, no frills and a unique experience. However, no one told me we'd be woken up at 6AM every day by the blazing heat of the sun warming our tent. It was impossible to sleep past 6:30 the tent was like an actual oven. True desert style, no escape from the heat. So a crisp, 36 hours in a spacious, cool room was welcomed. There's plenty to do at the Red Sea, snorkeling, jet skiing - boating, but we relaxed, had a few drinks and a nice dinner and rested up for our next camping adventure. Truthfully, this was my favorite part of the trip. Our camp was lovely and not too expensive. Nestled in the perfect spot amongst the rocks, we were able to climb up a cliff side for two amazing sunsets and wake without being baked (lol)! Wadi Rum is truly like another planet. You essentially off-road with your guides every day wandering and scrambling all over the rocks, dunes and archaeologically sites known to man. While there are other visitors around, it doesn't feel overwhelming. Definitely wear sunscreen, even if its a semi-chilly ride in your truck - the sun will burn you. Wear light cotton or linen long sleeves, pants and shoes that cover your feet (a hat is ideal too). At the end of the day you'll refuel with a traditionally cooked meal. Spend hours stargazing after dinner, feeling like the smallest speck in the universe before you slip off to sleep and dream of Mars. Spoiler alert, while the ten minutes or so floating around may be cool (it is), we weren't too keen on the rest of the experience. We stayed in one of the hotels lining the shore of the Dead Sea, mostly because there was little option. The only upside to staying there was that we could shower immediately after our dip and mud baths - the Dead Sea STINGS. If you have any cuts or scrapes beware. Ladies you do not want to be waist deep in this water longer than 20 minutes - no joke. If you're just going to dip your feet and see the salty expanse I would say pass through, don't stay the night. Stop alongside the road for a splash, slather some mud on your feet and legs, rinse off and call it a ticked bucket list item. The resorts are very loud with lots of people trying to party and the staff barely seems to keep up. I've heard there are options for quieter more calm experiences in Israel, so try hopping over the border to do it there if you're not looking for that beach holiday vibe! As always, thanks for reading crew! If you like, please share with friends, family, coworkers or anyone who needs some tips for Jordan.